This is a story told through tweets. I set my alarm for 12:30 AM and spent an emotional 4 hours watching one of my dear Hello! Project groups ride into the sunset (or something like that). A collection of live tweets from my viewing of the the Berryz Kobo Final Live. I’m usually very bitter on this day. I refuse to celebrate love just because “the man” tells me that I should spend more money. I refuse to celebrate love because Hallmark needed to right their account books between Christmas and Easter. However, I will celebrate a lovely set of pictures from Hello! Project. Here are the girls of MoBeKiSuJu. 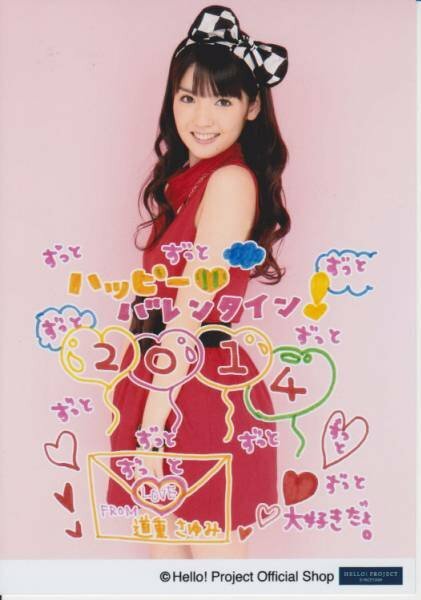 Fun facts: (a) look at Sayumi’s Valentine Card and see for yourself! (b) Mizuki’s vertical stripes are at their limit, (c) Miyabi’s horizontal stripes are barely affected, (d)as a group C-ute are also really good at drawing, (e) Airi drew Suu san again, (f) Kanyon looks AMAZING, and (g) Uemu looks like the cutest bully I’ve ever seen. Hey, don’t blame me. I don’t know why Maasa and Yurina were left out of this photo shoot. To tell the truth I don’t particularly like the way the Berryz girls are styled in this photo spread. 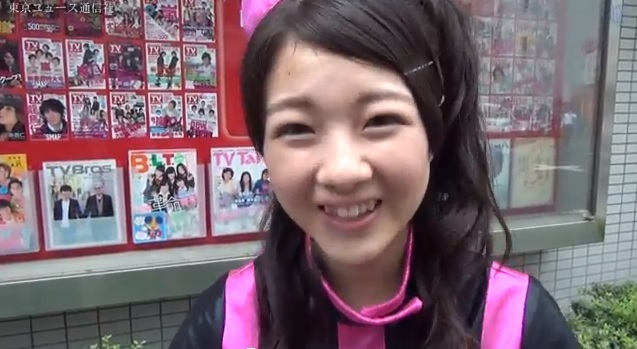 I don’t think I can ever get used to Risako’s hair, and is cosplaying as someone’s grandma. Miya looks plain, Momoko looks like Momoko (again), and Chinami is totally out of place. Captain looks pretty good, but she is shoved WAY into the corner of the shot. Look at C-ute’s faces. Does it seem like they all just woke up? At least they look like they like each other in the two shots. Man, did I complain on this post. Get me more coffee. NOW. This week, we start off immediately with Morning Musume announcing their 54th single “Wagamama Ki no Mama Ai no Joke / Ai no Gundan”! Release date for the new single is 8/28/13. Yes, another double A-side wormed its way into Hello! Project’s release schedule. Do you hear that? It’s the sound of Tsunku growing up a little. In a Young Town interiew Tsunku implies that he sees all of the H!P members as daughters and couldn’t think of them in “that way”. He also notes that the girls’ parents have entrusted their daughters to him implying that Tsunku is in loco parentis. What does this have to do with Hello! Station? Nothing. This 21st edition of Hello! Project Station brings us S/mileage’s Takeuchi Akari for host. Take-chan was one of my initial favorites from the S/mileage second generation auditions, but my favoritism was based mainly on her experience as an Egg. For a while, I got a little bored with her and her wild singing voice. Her performance in “Yattaruchan” brought my opinion of her up a little.